21 November 1984. Faiz Ahmed Faiz came to me in an obituary in the newspaper, The Tribune, when I was a curious high school student preparing for a general knowledge quiz. 1987. 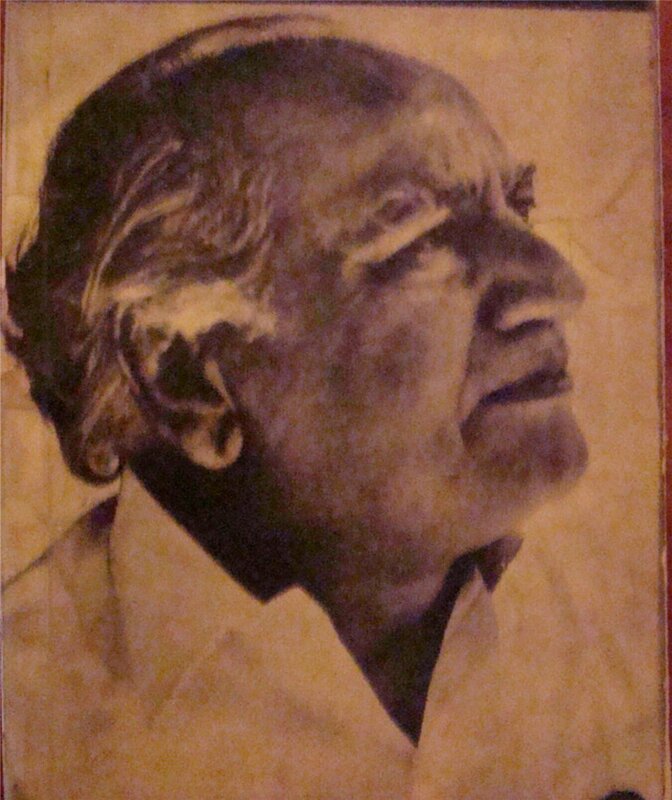 Faiz reappeared in a communist march, with his tarana, “Hum mehnatkash jagwalon se jab apna hissa maangeygain,” the equivalent of the Internationale in Hindustani – on my lips. Faiz came to me a year later, in a small booklet published by some radical outfit that is long gone. Faiz came to me in his collected poems, “Saare Sukhan Hamare” (“All words are ours”). I made a long trip to old Delhi’s Daryaganj in DTC buses to Raj Kamal Prakashan to procure the newly-published book at the then royal price of Rs 100. It was that difficult and that expensive to buy it. The book still accompanies me, along with the “Diwan-e-Ghalib”, a quarter of a century later. Faiz’s quatrain, “Raat yoon teri khoyi hui yaad aayi” (“And in such ways your lost memories came as night fell”) became my first painting that I created inspired by a poem. For those of us in South Asia, Victor Kiernan was known primarily as the translator of Mohammad Iqbal and Faiz Ahmed Faiz. His works as a historian are relatively unknown. Even his translations, for that matter, are not so much read as they are appreciated, mainly because few need to when they can read the original in Urdu. His relative ignorance in India is also difficult to understand because he was one of the few of the British Marxist Historians who actually spent some time in India. In Kiernan’s case, he was even married to an Indian lady, though for a short time. For all this, however, India (and Pakistan) seems to have been a passing interest for him and his personal and intellectual association ended pretty much around 1950. 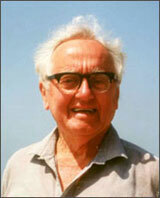 He lived to the ripe age of 95, and passed on earlier this week on 18th February. Dr Chamal Lal has a collection of some of the favourite Urdu couplets of Bhagat Singh, including a picture of the original in the young revolutionary’s own handwriting (right). Dr Lal reproduces the couplets in the nagari script as well. Dr Manzur Ejaz, writing a series on People’s History of the Punjab, on the life and work of Shiekh Farid, considered to be the first poet of the Punjabi language. Ralph Russell, the British Urdu scholar in the tradition of VG Kiernan and who is well known, among other things, for his perceptive writings on Mirza Ghalib, has moved on (source). I was born in 1918. I became a communist at the age of 16 and am still content to call myself one despite the traumatic experiences from 1946 onwards of the corruption and eventual collapse of the communist movement and the Soviet Union, because I still hold to the humanist values which made me a communist. I believe that true communism is not only consistent with these values but is a logical development from them. Amit Basole has a fascinating series of posts analyzing Mirza Ghalib’s couplets where he not so much dissects them as use them as a starting point to pose contemporary questions, on the question of faith, for example, and what it means to be human. One thing sometimes does lead to another. Our post on Milton and Ghalib has culminated in a partnership with the blog Mehr-i-Niimroz (the noonday sun). Every week or so we will together select a couplet from Ghalib: Mehr-i-Niimroz will provide a translation and commentary; The South Asian Idea will use the couplet to pose questions and start a discussion. The objective will be to explore how much we can learn from Ghalib about the world we live in. Justice Markanday Katju of the Supreme Court of India explains why Urdu is part of his ancestry and offers a number of insights into the state and fate of the Urdu language in India today. This documentary brings out some very interesting facts about the umero uno of Indian lyricists, the great Sahir Ludhianvi. One fact that I was not aware of till this short film was that Sahir was named after one of his father’s bitter rivals- a neighbour named Abdul Hayee with whom he was engaged in a legal wrangle and and used to call him by expletives when Abdul Hayee, the son, was a child. I will write sometime on how Sahir’s lyrics were my inspiration for diving deeper into Urdu poetry and how, much before Ghalib and Faiz, it was Sahir’s lyrics for Hamraaz and Gumrah that seduced me towards Urdu poetry. Alys Faiz’s story is the story of a lifetime of commitment. From being a young woman who wanted to fight alongside the Republicans in the Spanish Civil War, she became the woman behind revolutionary poet Faiz Ahmed Faiz; Alys now finds herself still angry at the social injustice in the world, still fighting on behalf of the oppressed in her regular columns for Viewpoint and She, as well as in her work with the Human Rights Commission of Pakistan and other organisations. Alys campaigned for the Muslim Family Laws Ordinance in 1961 and for peace in the Gulf thirty years later, in 1991; Alys collected signatures for peace in 1952 and again for peace in Afghanistan in 1988. A single interview cannot possibly do justice to her extraordinary, varied and active life. Hers has above all been a challenging life, involving adaptation to an alien culture and society; living with a man whose greatness and political commitment led her to make huge personal sacrifices; carrying on his work in the loneliness of bereavement. Yet Alys Faiz has no regrets and prefers to tell of the difficult times via hilarious anecdotes, using her acting training to further liven up the store with mime and mimickery. The white hair and Alys’ claims that she is now ‘tired’ are deceptive: there is a quickness of eye and hand that betrays a wicked sense of humour, an eternally youthful streak and an obvious powerful personality. Undoubtedly, these were the characteristics, which have made her a survivor. Q. You’ve always been politically active. Was your family interested in politics? Q. So how did you end up a Communist? A. I didn’t end up; I began! I was always a bit of a loner. I used to like to go out for walks on my own on the weekends. And one fine day I found myself in Clerkenwell, where I saw Marx’s house. I went in and John Stratchey was lecturing on socialism or something. I sat down and listened. That was the beginning. Q. How old were you at the time? A. About 18. And then I joined the Party. Martin Luther King: "I am an Untouchable"